I just added a new option to GeDoSaTo, forceAnisoLevel. You can use this option in any game, but it only makes sense in a select few. If you force anisotropic filtering in the driver, it’s smart about which surfaces and original filtering types it overrides – that’s why it very rarely breaks games, and this makes perfect sense for a driver option. However, specifically in the case of running stuff at resolutions it was not built for and downsampling, it is sometimes beneficial to apply filtering even to surfaces specified to be point filtered, which is something the driver doesn’t do (as it could often break shaders). To use it, add a user-level FF13 settings file (if you don’t already have one) and add the line forceAnisoLevel 16 to it. See here for details on settings files – I have seen that this causes quite some confusion and sometimes erroneous bug reports. As always, you can get the latest version by grabbing the installer here or simply update, and if you want to you can donate here. Dreamfall Chapters: Book 1 was just released (go buy it), and it’s another game using the Unity engine. 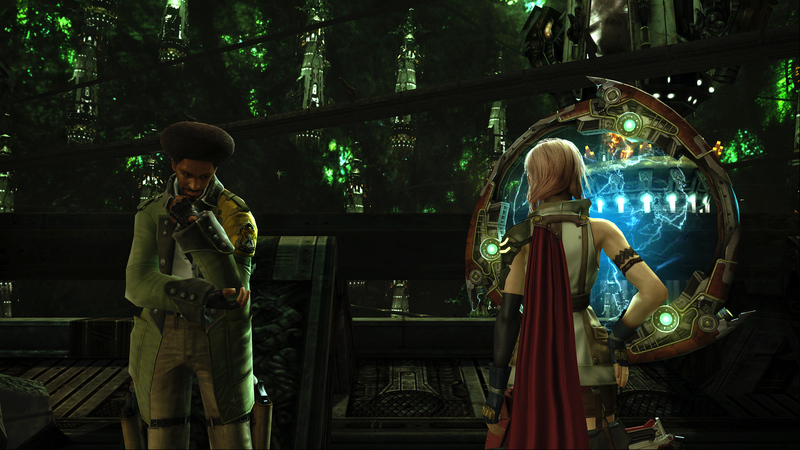 Like with another recent Unity title, Wasteland 2, it refused to work with GeDoSaTo. Now, since I like both of these games a lot I invested some time to find out what’s happening, and hopefully fix it. Check the desktop resolution and create a fullscreen window as well as a DirectX device with that size. Check the native monitor resolution (using GetMonitorInfo), and reset the device/window to that size. Render at whatever resolution you specify in the game settings, to an off-screen surface. Stretch that surface to the window. So, no real fullscreen mode in sight. Why would you do this? Well, it has multiple advantages: you don’t lose your resources switching to another rendering resolution, alt-tab behaviour is much faster and more stable, and you get free, correctly implemented triple buffering if the user is using Aero. It works by “pretending” that both the desktop and monitor are the given renderResolution in size, forcing that to always be reported, and modifying the mouse cursor position used by the game (so that clicks register correctly). GeDoSaTo takes care of actually constraining the fullscreen window to the correct size, and of course performs a high-quality downsampling of the rendering result as always. Since the resolution you want to downsample from needs to be known before the game requests any, only a single rendering resolution can be provided. Already in earlier versions, a problem in games using windowed modes was that custom cursors would be lost outside of the rectangular region corresponding to portion of the screen that would be taken up by a window downscaled by the downsampling factor. I figured out why this happens: To make games work, the cursor positions reported to them need to be adjusted (modifyGetCursorPos). This works for any processing within the game, as it thinks it is operating within a larger rendering area. However, an issue occurs for cursors: I found out that many/most games use the Windows API WindowFromPoint function to check if the mouse is within their window before setting the cursor, passing the modified coordinates. Now obviously, Windows knows what the real window sizes are, and the modified virtual coordinates fall out of them. So I had to apply the reverse transformation in that function. Anyway, the new version is called “Tokikagura”. Other than the stuff discussed above it also includes some GeDoSaToTool fixes. As always, grab the installer here or simply update, and if you want to you can donate here. By the way, Nvidia’s DSR can’t downsample in these games (for now). Take that big boy corporate version! About texture dumping/replacement: After getting the current GeDoSaTo facilities to work (more or less) on FF13, I figured out that most interesting textures (e.g. the fonts) aren’t actually being loaded using D3DX, so the existing mechanisms don’t help at all. I have a different method in mind (for a long time now actually), but this will take some time to implement. Talking about time, what I wrote about on the blog a few days ago regarding not really having any time due to “real world” workloads applies now even more than before — after I spent basically the entire weekend on FF13. Therefore, don’t expect updates from me until next weekend. That said, I’ve seen a lot of new forks at GitHub, so perhaps someone will make some contributions! I’ll try to merge good additions as quickly as possible if there are any. As always, you can use the installer here to get the latest version (or just press the update button! ), and you can donate here. A few words on performance, according to my testing: Starting from a base setting of 3840×2160 with bicubic scaling at 60 FPS I get a GPU usage of 66% on my 770. Increasing shadow scaling to 4 gives a very marginal increase to 67% (basically free on my system). Setting it to 8 goes up to 70%. Going from the default 4xMSAA to 16xCSAA increases GPU usage from the 66% base to 70%. Worth it in my opinion. 32xCSAA (that is, 8 MSAA samples + coverage AA) goes up to 80% and the improvement is debatable. I’ll do a more in-depth look into the screenshot issues and the problems with texture dumping/replacement tomorrow, I really want to get a high-res font replacement. Also, I did some initial experiments with increasing shadow resolution. Sadly, without also improving the filtering quality that doesn’t help all that much. And improving the filtering quality would require reverse engineering and replacing the shadow rendering shader, which is a longer task, so I’ve put it towards the back of the queue for now. Anyway, as always, you can use the installer here to get the latest version (or just press the update button! ), and you can donate here. The game performs really well from what I’ve seen, both GPU and CPU-wise. But their frame limiting/pacing stuff sometimes seems to bug out. Tons of stuff can still be improved — obvious ones like fixing bugs and the DoF, but also e.g. probably shadow resolution — so if you like this work and want it to continue consider donating. Of course, I’d also really appreciate any development or debugging contributions. As always, the source is on Github. You can download the installer from here, it will automatically grab the latest version. Don’t report bugs in the comments, report them on GitHub (and check for duplicates or if they are known issues).